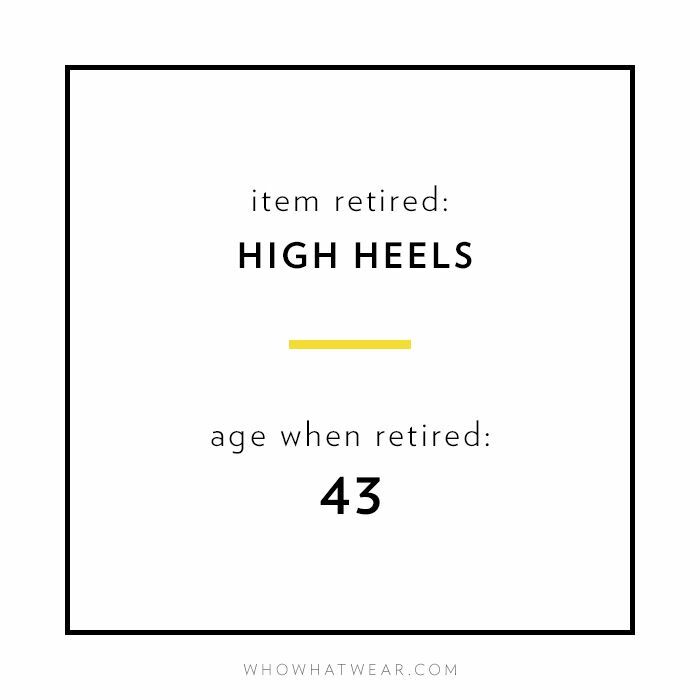 "I retired the really short skirt only this year at the age of 55, when I realized that while my legs still look 27, I am way too old to wear something that short." "I realized in my mid-50s I was more and more self-conscious and uncomfortable in sleeveless and spaghetti-strap dresses and shirts. Despite working out regularly, my arms just started to look 'old.' It isn't lack of muscle tone so much as skin texture; even with a tan or tons of moisturizer, there is just something unattractive about my arms these days. So if I put on anything sleeveless, I always wear a sweater or jacket over it."